I had this old frame that was so pretty I did not want to throw it away, so I created a live picture of one of the most beautiful shade gardens we have ever grown. The picture frame is full of inpatiens and surrounded by hydrangea, sea oats, asparagus ferns and caladiums. 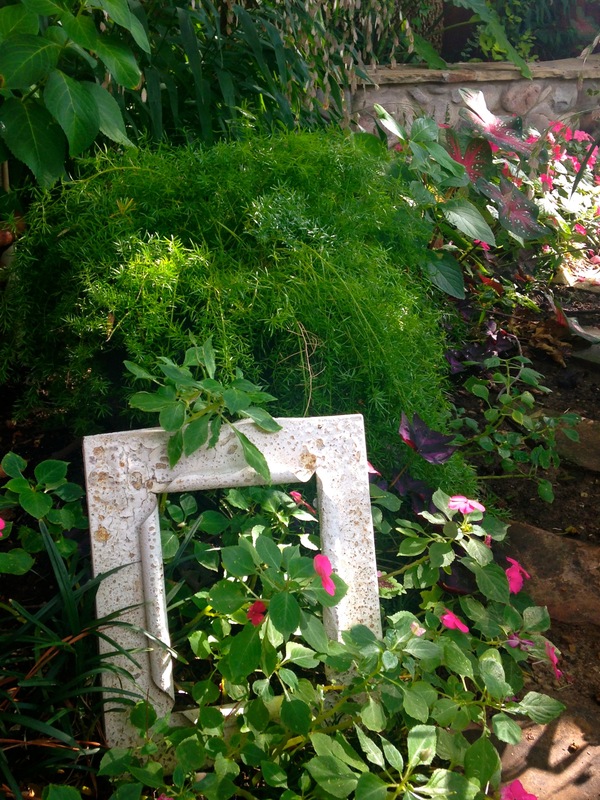 Our shade garden turned out to be a lovely place to re-purpose this old frame.